Enter Your Email to be notified of Launch! What is Smart Kids Move? In traditional classrooms, teachers stress the importance of paying attention, remaining still and being focused, all characteristics attributed to self-discipline and resulting in better academic performance. However, virtually everyone would agree the ultimate demonstration of self-discipline, focus and being "still", is not better exemplified in any sport than in the martial arts. And yet, martial arts is constant motion! Regardless of the type of martial art, there is constant fluid movement involving throws, punches, kicks, blocks, rolls, etc. Some would even say that martial arts is the ultimate form of movement, with ballet and gymnastics being its closest competitors. 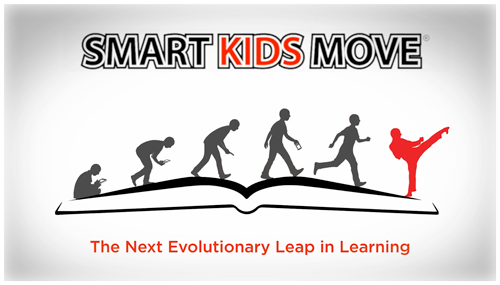 Smart kids move was designed to exploit this known phenomenon which has conveniently been ignored by our educators today. Using specific mental exercises and cognitive drills, strategically timed with certain physical activity and motion, extraordinary changes have been observed. Smart Kids Move has created a structured method of measurably improving cognitive function, intellectual ability and academic performance. © 2016 Smart Kids Move. All Rights Reserved.